On Monday, April 30, 2018, Microsoft began rolling out another semi-annual feature update for Windows 10, called Windows 10 April 2018 Update or Windows 10 Spring Creators Update. 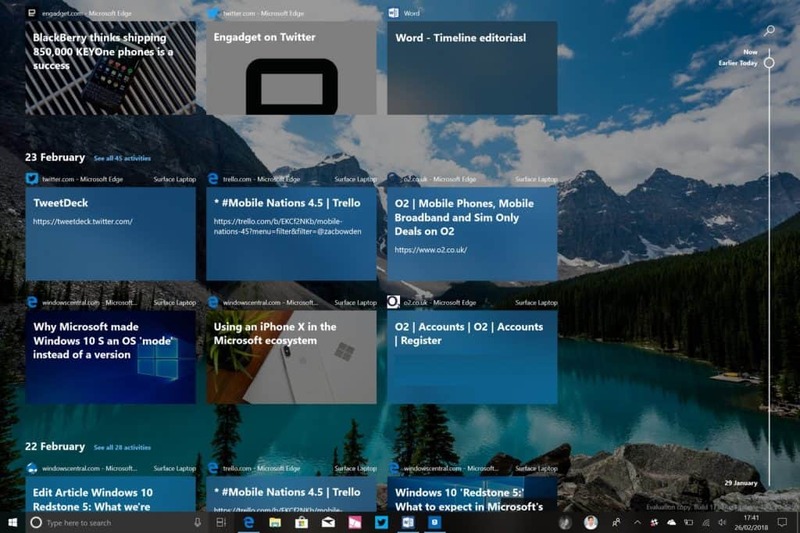 The Windows 10 ‘Timeline’ gives you a history of activities across all devices linked to your Microsoft Account by clicking on the Task View button. Much like looking up your browser history of websites visited, the timeline will also contain a history of other running apps and files and documents opened. For more info on the Timeline feature, check out What is Windows 10’s Timeline, and How Do I Use It? by How-To Geek. Nearby Sharing allows you to share links and files with Windows PCs in your local vicinity. 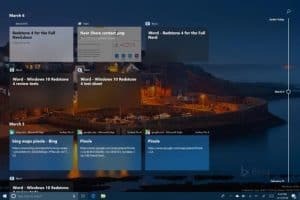 In order to accomplish this, the computers sharing will need to have the Windows 10 April 2018 Update installed and have bluetooth and Nearby Sharing turned on, which can be accessed by clicking on the Action Center icon in the lower right corner of the desktop by the clock. Once enabled, you’ll see a new section in the share menu in File Explorer, Edge and some other supported Microsoft apps. Popular web browsers like Google Chrome and Mozilla Firefox have provided the option to mute sound on specific tabs by clicking on a speaker icon in the tab area. Microsoft has finally added this common feature to its own Edge browser. For more information on other top new features with the Windows 10 April 2018 Update, check out The 7 best new features of Windows 10 April 2018 Update by Cnet.